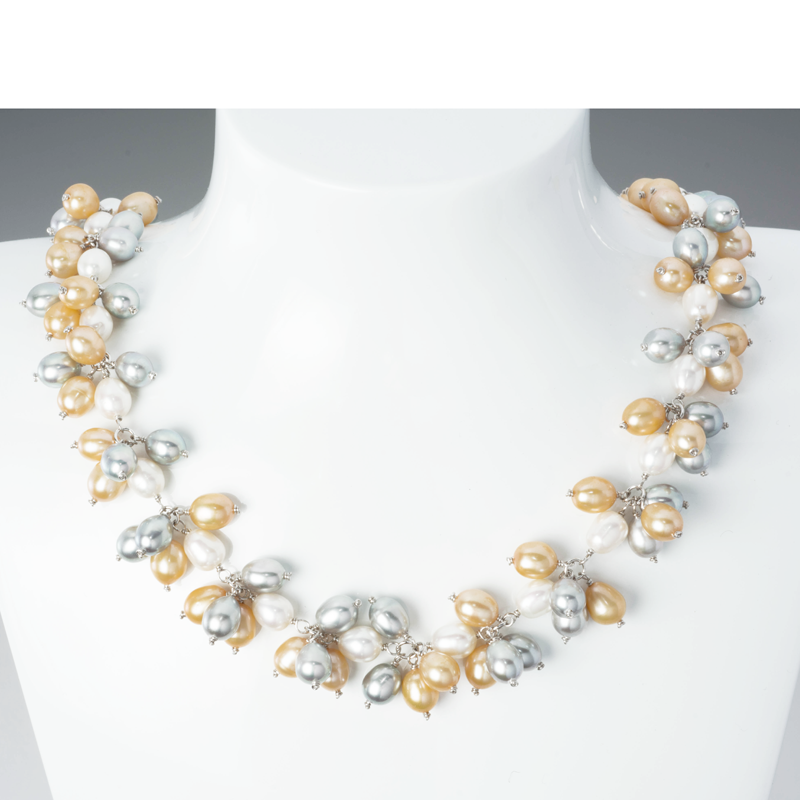 Delicate Fine Rice PearlsHarmonising white, champagne and grey rice pearls in delicate clusters, these designs are wired with silver to create their silky soft, flowing elegance. 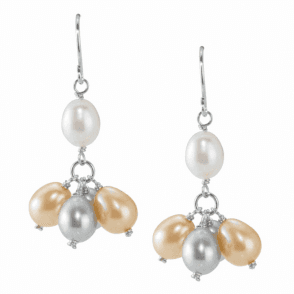 6-7mm pearls. 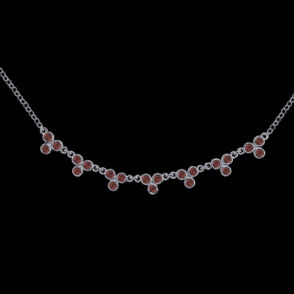 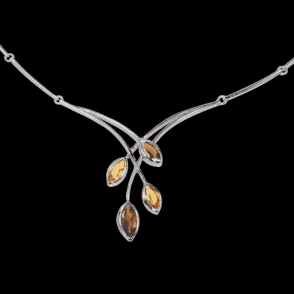 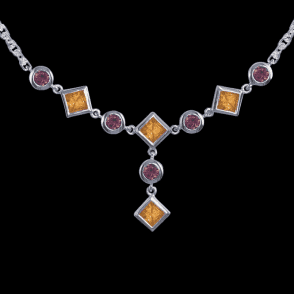 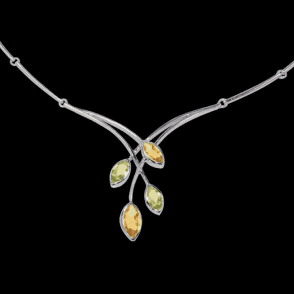 Necklet 17½ ".